Having trouble going to sleep every night, where getting into bed each day is considered to be a chore and a time in which you dread? Well, cheero USA might have something to cheer you up in your quest to get a good night’s rest — with the second generation Sleepion on Kickstarter. Known as Sleepion 2 (for the lack of a better description), this device claims to be able to help you sleep better by inducing sleep the natural way without the use of pills and medication. How does it go about achieving this? The Sleepion 2 will be able to program the prenatal rhythms which naturally reside in all of us. In other words, the Sleepion 2 is able to help the user who has trouble sleeping, concentrating, or simply to relax, feel rejuvenated and rested with its daily use. It is not only meant to help you get a better night’s sleep, it is also able to help place you on a path of healthier living. There are three modes in the Sleepion 2 to choose from which can be used throughout the day. Concentration mode would see it play back songs that have been specially designed to help focus the brain with upbeat melodies. As for Relaxation mode, it will feature mellow beats that will help the brain rest without letting it fall into a deep sleep. In Bluetooth mode, users can curate their own playlist that comprises of relaxing music, using it while they travel or simply take a walk around the park. 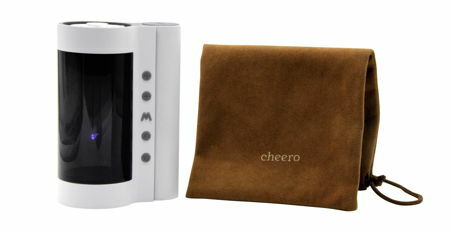 The Sleepion 2 will need to be used with Aroma rings in order to have it work in the most effective manner. All Sleepion 2 purchases come with Aroma rings, letting you enjoy smells such as Germanium, Lemon Grass, Lavendar, Hinoki, and Forrest that are ideal and clinically proven to help induce sleep, relaxation, and concentration.